While there will always be new records early in a new franchise's history, the Woodpeckers have set some lofty marks in only one week of baseball. 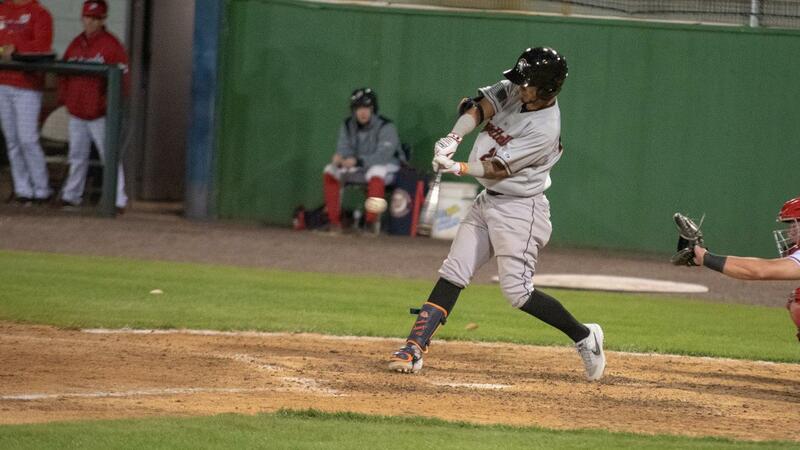 Fayetteville scored 11 runs in two innings to overcome an eight-run deficit and earn their first sweep in franchise history, knocking off the Frederick Keys 11-8. The game featured a seven-run sixth inning, and the Woodpeckers' second grand slam of the season. As the Keys continuously poured on offense against starter Parker Mushinski, the game seemed a tall order early on. Frederick scored a pair of runs in the second and third inning. As pitch limits forced Mushinski out of the game in the fourth inning, the Keys offense continued against Brendan Feldmann. The right-hander Feldmann was struck for four more runs across his two-inning debut for the Woodpeckers this season while the Keys pushed the lead to eight. Offensively, the Woodpeckers were cut down by Mike Baumann in his season debut. The right-hander faced only one batter over the minimum while striking out ten Woodpeckers in five innings of work. After Baumann departed, things only went south for Frederick and north for Fayetteville. In the sixth inning, reliever Matthew Hammonds allowed six runners to score, including three bases-loaded walks. Hammonds was hastily pulled for Matt De La Rosa, who allowed another run before finally escaping the frame. In the following inning, De La Rosa allowed a pair of base hits and a walk to load the bases. With Woodpeckers at all bags, Chandler Taylor launched his second home run in as many days, a towering blast over the second-tier wall at Nymeo Field, for the second grand slam in Woodpeckers history, completing the comeback. With new life, the bullpen combo of Carlos Sanabria and Cesar Rosado was able to spin four scoreless innings and maintain the lead and complete the sweep for Fayetteville. Adding on to the history, Rosado's scoreless ninth inning earned him the first save in team history. Fayetteville scored a grand total of 26 runs in the three-game sweep and will try to keep the offense rolling as their 14-game roadtrip to open the year has reached its halfway mark. The Woodpeckers will finally return to the Carolinas for the remainder of the trip, as they prepare for a four-game series with the Myrtle Beach Pelicans. Yohan Ramirez will climb the hill for Fayetteville on Thursday, with first pitch scheduled for 7:05.